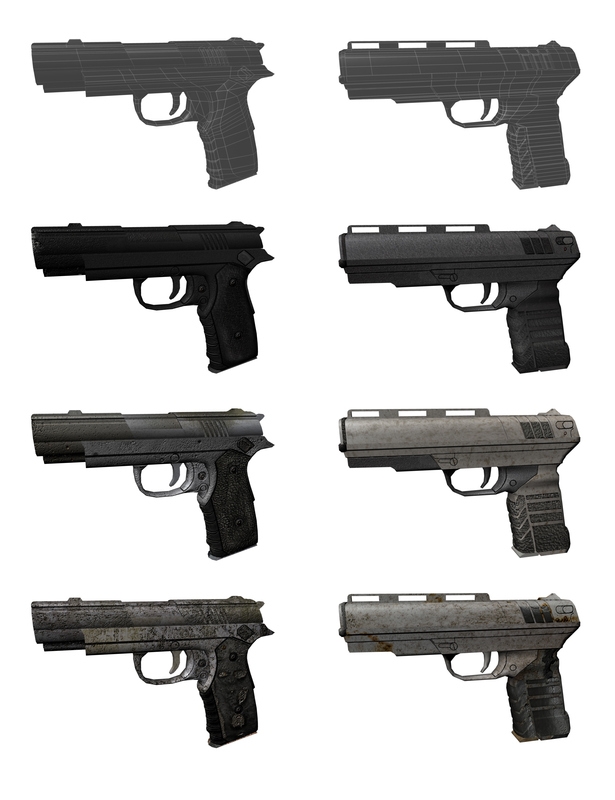 Two pistol sets with Military, Standard and Damaged variants. Two pistol sets with different quality levels, Military, Standard, and Damaged. Each was modeled in Maya and textured using Photoshop.